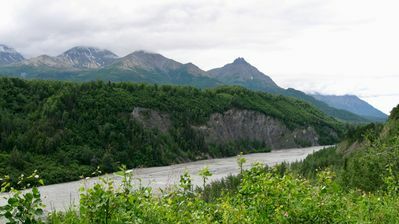 Glacier's Edge Mt Wickersham Room, overlooking the mighty Matanuska! The Mt. 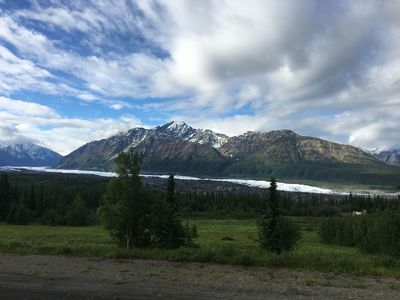 Wickersham Room: Our stunning views of the Matanuska Glacier, majestic Mt. 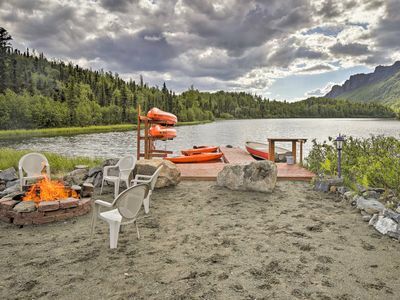 Wickersham, and surrounding Chugach and Talkeetna Mountains are second to none! 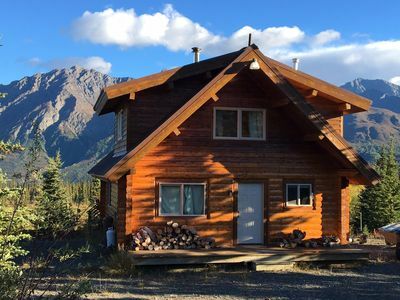 With 28 acres overlooking the glacier, and 2 comfortable, spacious guest rooms (The Matanuska Glacier Room is separate property listing: VRBO 1347168), our location is an ideal get-away for individuals or families who are looking for adventure in the Alaskan wilderness! 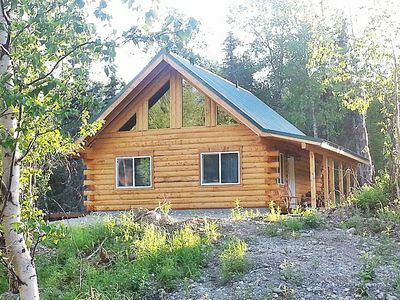 You will enjoy easy access to hiking and skiing trails, the Matanuska Glacier Park, and a variety of lodge cafes and restaurants. 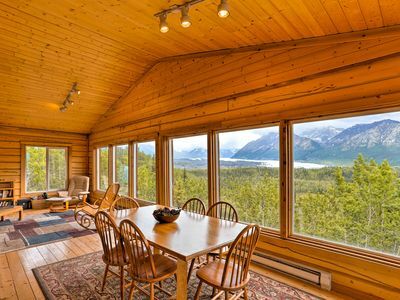 Wake up to endless views of mountains, rivers, and the glacier outside your windows. 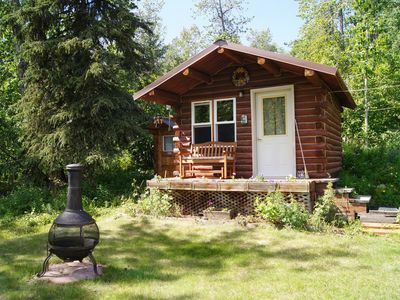 Relax on the deck and enjoy watching wildlife in the meadow, or take a tour of the mighty glacier with experienced guides. 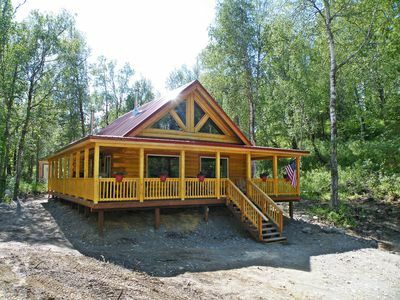 This is a great way to get away from the hectic pace of life and enjoy the wilderness of Alaska, in a comfortable setting. 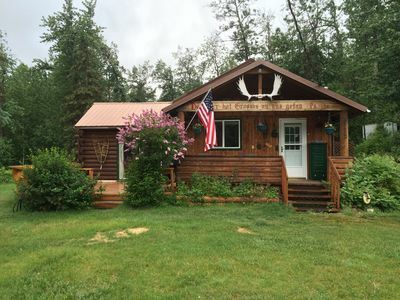 We are located at Milepost 103.5 on the Glenn Hwy. If you're driving northeast from Anchorage/Palmer, we are 2 hrs from Anchorage, and 1 hour from Palmer. 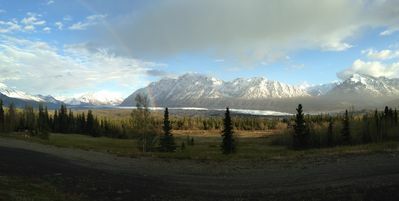 Coming from Glennallen, we are 1 hr 45 min drive southeast on the Glenn Hwy. Google maps may not be totally accurate up here, so look for our driveway on the glacier (south) side of highway. There are 3 mailboxes at the top of drive, the one in the middle is shaped like a small green house. 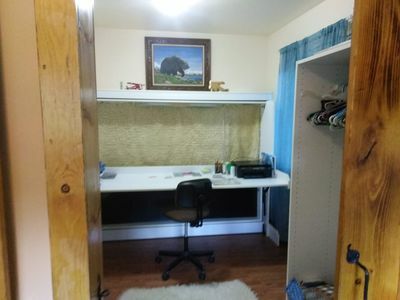 Park over to the right of the house, in designated guest parking area. Glacier's Edge Matanuska Glacier Room, overlooking the mighty Matanuska!